Julian of Norwich was an anchoress and mystic who lived in the 14th and 15th centuries. Around 1373 she had a series of visions which she recorded in two manuscripts called Revelations of Divine Love (there was a short version and a longer version). The manuscripts were hidden by Benedictine Nuns and did not reach a wider readership until the 20th century. The story of how the Revelations of Divine Love came to be written, hidden and finally published is contained in a book by Dr Janina Ramirez published by SPCK in 2016. One of the visions of Julian of Norwich concerned a hazelnut. I visited St Julian's Church in Norwich earlier this year as part of the Flintspiration event. Inside the church is a bowl of hazelnuts and many people take one and hold it in their hands as they pray and meditate in the church. 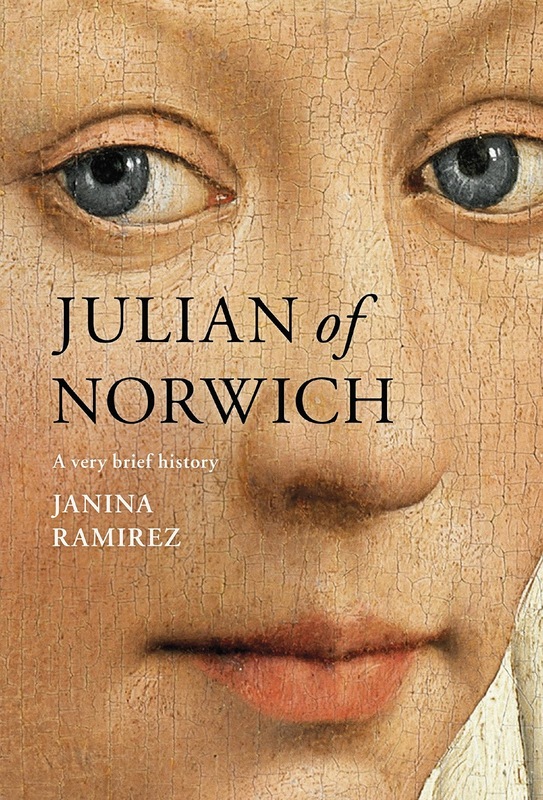 To both Shakespeare and Julian of Norwich a nut represents something of a very small size. In Hamlet Act 2, Scene 2 the two hapless spies Rosencrantz and Guilderstern attempt to discover why Hamlet is so unhappy. Hamlet: Why, then, 'tis none to you; for there is nothing either good or bad, but thinking makes it so: to me it is a prison. Rosencrantz: Why then, your ambition makes it one; 'tis too narrow for your mind. Hamlet: O God, I could be bounded in a nut shell and count myself a king of infinite space, were it not that I have bad dreams. Rosencrantz and Guilderstern think Hamlet is unhappy because he has bad dreams! A far simpler explanation would be because his uncle Claudius had murdered Hamlet's father and taken Hamlet's rightful crown! Something is rotten in the state of Denmark! Leaving aside that Rosencrantz and Guilderstern where the names of the astronomer Tycho Brahe's cousins and that Claudius was Ptolemy's first name all of which could be purely coincidental (cf. Desdemona's handkerchief in Othello), Shakespeare's choice of words in combining "Infinite" and "Space" is highly unusual. Shakespeare uses infinite 38 times in his complete works. Cleopatra has infinite variety (Act 2, Scene 3), in the Tempest there is an infinite loss (Act 4, Scene 1). It even appears four times in Hamlet (Yorrick's infinite jest - Act 5 Scene 1), also in Measure for Measure (Act 1, Scene 4) there is an infinite distance. However, a long distance runner going around a circular track an infinite number of times would cover an infinite distance. The expression "infinite space" only occurs once in all of Shakespeare's works in Hamlet. The prince Hamlet would be happy in a kingdom the size of a nutshell if he did not have bad dreams. Infinite space is the opposite of a nutshell. However, the Tudors had little concept of infinite space. The Universe was thought to be bounded and finite, although one man thought otherwise. In 1553 Leonard Digges published an almanac called "A General Prognosication" which gave advice on how to make weather forecasts from observing the night sky. In 1556 the alamanac was revised and retitled "A Prognostification Everlasting of Right Good Effect". In 1576 his son Thomas Digges updated his late father's alamanc but retained the same title "A Prognostification Everlasting of Right Good Effect". 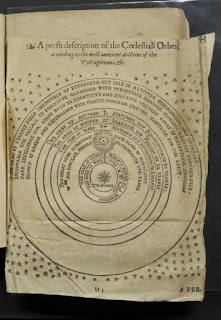 In the updated edition Thomas Digges included a drawing of the Universe with the Sun at the centre and stars extending outwards to infinity and not fixed to a sphere at a fixed distance from Earth. 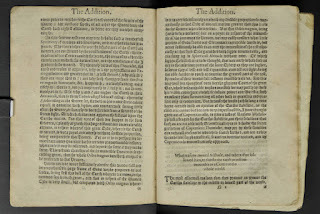 Thomas Digges also added an appendix to his father almanac containing a loose translation of "De Revolutionibus Orbium Coelestium" by Copernicus. 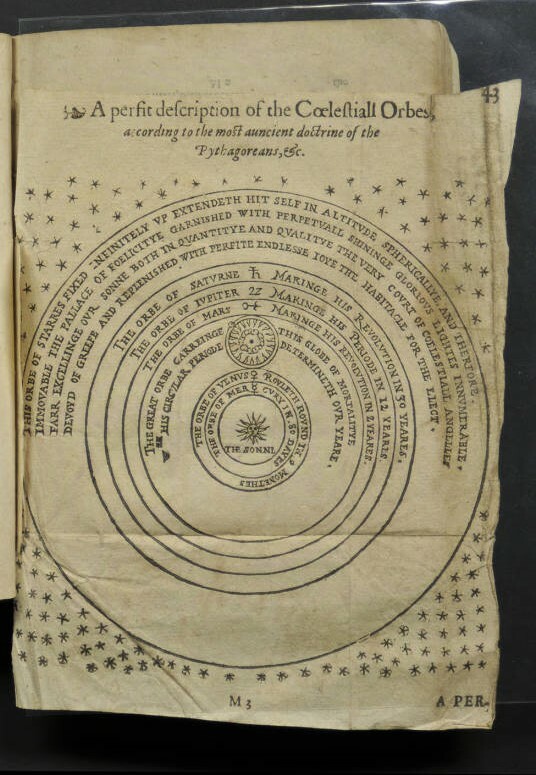 In this appendix Digges again mentions the infinite nature of the cosmos. 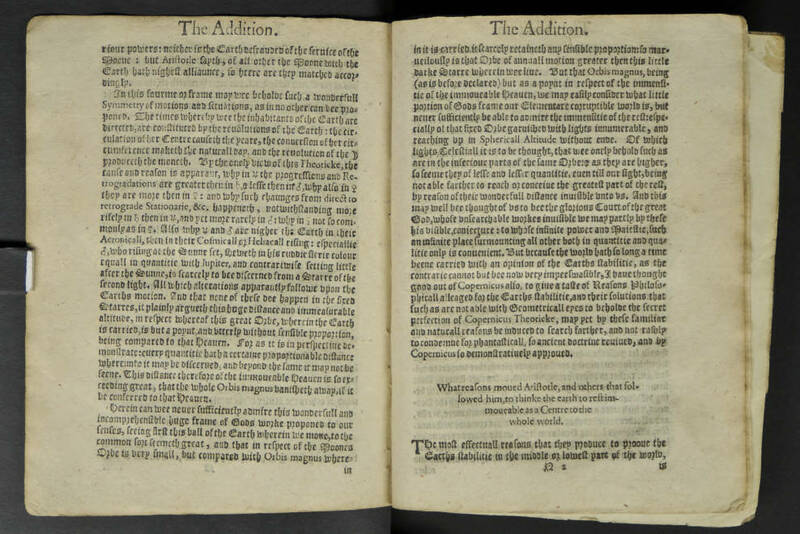 These images come from a digitised copy of the 1596 almanac held in the Linda Hall Library. Where did Thomas Digges get the idea that the Universe was infinite and not bounded as was generally thought at the time? From my experiments this is exactly the impression one gets when the Digges-Bourne telescope is pointed at the night sky. Stars invisible to the naked eye appear even when the telescope is pointed at what seems to be a empty section of the night sky. Within the narrow field of view of the telescope there are at least 3 or 4 stars that are invisible to the naked eye in every section of the sky that can be clearly seen. Sometimes many more. If Shakespeare had read Digges'es updated Almanac, or had met Digges, or had met someone who knew Digges this could be where he got the idea of infinite space. Shakespeare was a collector of ideas, in addition to astronomy he writes a lot about slaughering animals and butchery, the legal profession, about Italy, about Jewish people, about the military and about sailors and shipwrecks about flora and fauna and medical matters. Hamlet was written sometime between 1599 and 1602 so there was plenty of time for him to be exposed to Thomas Digges'es ideas. In my next few blog posts I am going to try to take some photos of what can be seen through the telescope when pointed at empty areas of the night sky to show what Digges might have seen.